Just 4 Kids Salon specializes in working with autistic children and kids with special needs. We provide expert haircuts for kids with special needs and autism. At Just 4 Kids Salon, we specialize in working with autistic children. 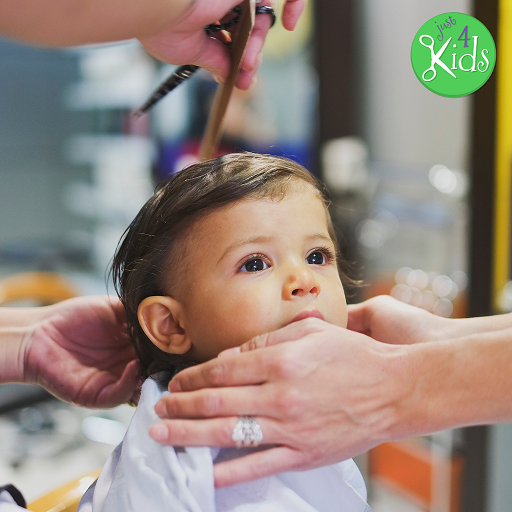 We are a child-themed hair salon that offers kids a cool experience of sitting in a car, watching their favorite TV show or playing with slime while getting their hair cut. Our stylists and staff are patient and trained with working with children with special needs. At Just 4 Kids, we believe that no two children are alike, and each have their own specific needs. We consider kindness and patience our two greatest strengths. This is why we have lovingly and expertly performed haircuts on hundred of children with special needs. 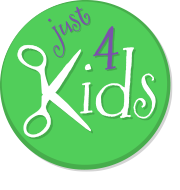 Come by and experience the Just 4 Kids Salon difference for yourself! Call us in advance to setup an appointment, and simply let us know what works best for your child and we will accommodate you! We are here to help! Simply let us know before hand and we can assist. We also offer an auxiliary salon area that is completely separate and secluded from the main salon, and may work better for your child. Thanks for checking out our page on kids with special needs and autism. Call us today at (201) 653-KUTS (5887) if you have any questions or you would like to Book an Appointment. Also, you can book an appointment on our website by clicking “Book an Appointment”. In addition to providing haircuts for kids with special needs and autism, we have a very dynamic social media presence! We are always posting great photos and ideas. Feel free to follow us on all our platforms! Thanks again for checking our our page on providing haircuts for kids with special needs and autism. We have a very robust social media presence, and include motivational photos and links of kids with special needs on our various feeds. We hope you choose to follow us on one or more of our platforms.